The first recipient of Soviet military hardware in the Americas was Cuba in 1959. Since then the Cuban Air Force has operated the MiG-15 to the MiG-29, An-26 and Il-76MD transports and more. Cuban combat aircraft have seen action against the ships and aircraft used by the CIA in its subversive activities against Cuba. Other Latin American nations have also ordered Russian military aircraft - based on common sense and economic expediency rather than political affiliations. These include Mexico; Brazil; neighboring Colombia; the Argentina Air Force and Bolivia which is among the latest customers for the Mi-17, with plans to use for drug-busting operations. Another major customer for Soviet aircraft was Peru, which ordered An-26 and An-32 transports, MiG-29 fighters, Su-20/Su-22 fighter-bombers and Su-25 attack aircraft. Peruvian Su-22s have been involved in the border conflict with neighboring Ecuador and Soviet aircraft (notably Mi-17 and Mi-24 helicopters) have been actively used by the Sandinista regime in Nicaragua against the US-backed Contras insurgents during the civil war. More recently, Venezuela, another country noted for its anti-US stance, purchased a large batch of Su-30MKV multi-role fighters, as well as Mi-17 and Mi-26 helicopters. 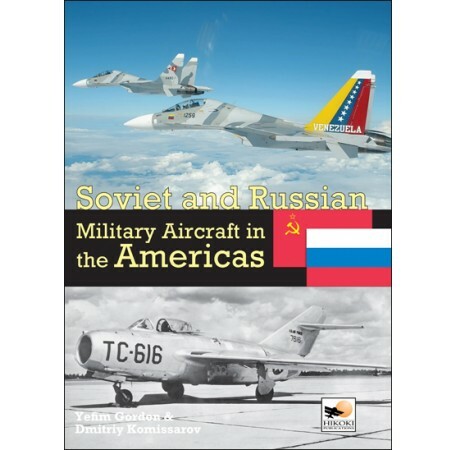 Written by the acknowledged experts in the field and illustrated throughout with photographs and color artwork, this is the definitive record of Soviet and Russian military aircraft and their combat operations in this region. "...a tremendous amount of data with a compelling and readable storyline." "It's hard to imagine a better source for this subject. 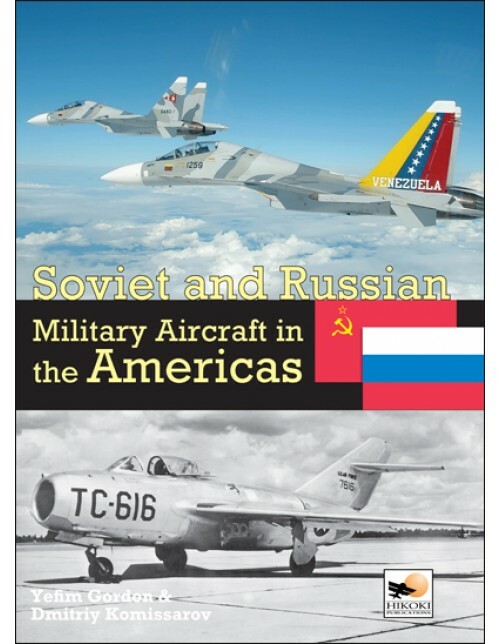 In addition to numerous photos and scores of color profiles of Soviet and Russian aircraft in North, Central, and South America--there's a section for each nation--there is a list of individual aircraft in military, government, and civilian service in those places. There's more than 100 pages on the United States! If you enjoy building MiGs, Sukhois, Antonovs, Ilyushins, Kamovs, Mils, and Yaks, and want to dress them in exotic uniforms this book is for you."